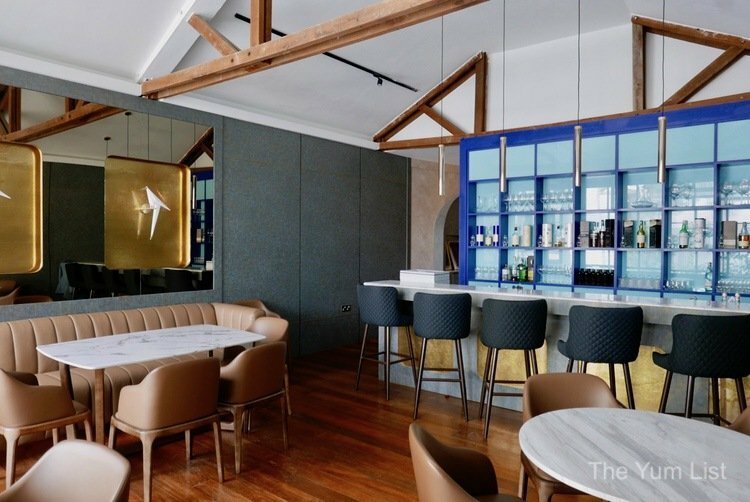 Housed in a warehouse within the historical compound of the Hin Bus Depot and seating only 18 guests, Restaurant Au Jardin is a hot ticket to get into. During the day, natural light streams in from a glass wall gently muted by plants and enhancing the minimalist yet very elegant setting. At night, the space transforms, softly illuminated by warm lighting and the addition of some liquid alchemy to the equation on the upstairs floor with a cocktail bar. Chef Kim Hock heads the kitchen and while his inspiration stems from his years of culinary and travel experiences, his recipes are firmly rooted in local, fresh and seasonal produce. A strong advocate of sustainable sourcing, chef Kim supports local artisans and urban growers in Penang. By providing demand for their supply, not only are local businesses kept viable but so too is the reduction of the carbon miles needed to make your meal. The concise menu ensures that each and every dish has been curated with precision: there’s no need to have the chef’s suggestions highlighted here as they all are. During the week, a three-course lunch menu is offered. Evenings see a four-course or degustation line-up and weekends bring a brunch list of a la carte choices. 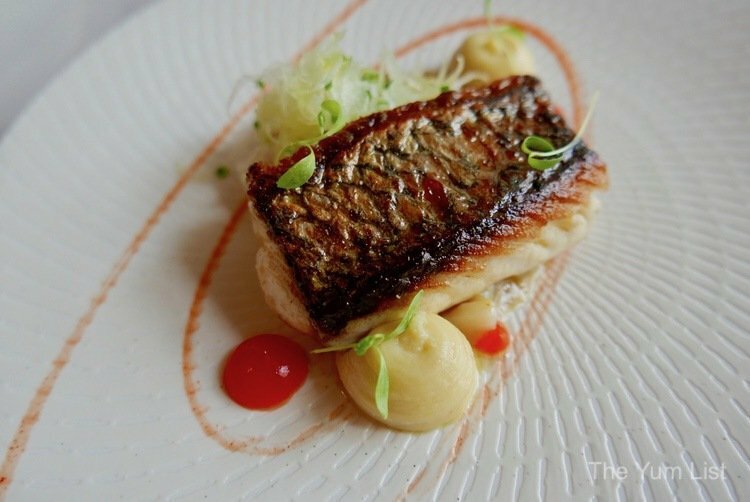 We’re wanting to see the full extent of Chef Kim Hock’s talents so go in big with the degustation. 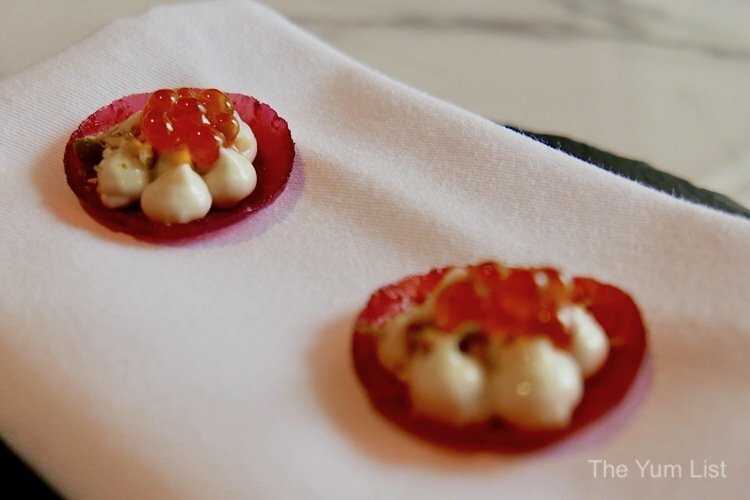 Dehydrated beetroot cups hold dots of blue cheese béchamel and salmon roe. They are delicate and complex and oh-so-intriguing: I can’t wait to see what is next. If the homemade bread and mushroom butter are a sign of things to come, we are in for an exceptional meal. 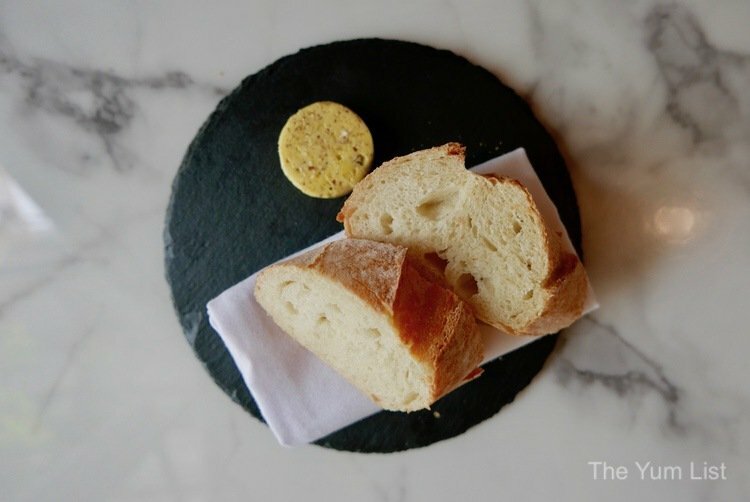 Something as seemingly simple as bread and butter, when executed with the exactitude of a master chef, can be such a treat. A crisp crust holds a spongy dense middle in the bread, and the butter has been whipped aerating it and providing small air pockets for a thread of earthiness to weave throughout with the fungus. I would never have expected sesame praline, salted sesame ice cream and burdock to be in the same sentence as aubergine but I am glad that I have now been introduced. Sitting atop what resembles a giant pebble are layers of baked eggplant, eggplant puree, with the ice cream, praline and crisp slices of burdock (a plant native to Asia often used in Chinese medicine and said to have multiple health benefits) on top. Even though the description includes ice cream it is still unexpectedly cold. Hubby and I both love it, which is quite an achievement as we rarely agree on anything. Home-cured and hung, this duck dish is given additional oomph with Roquefort, compressed watermelon, shallots and red wine vinaigrette. A pretty sprinkling of spring flowers adorns the crown. It’s a refreshing plate with a bite of acidity at the very end cleansing the palate of the rich poultry. The ducks used in this recipe are aged for 120 days: most modern production is 90 days. The flavour of the duck matures, strengthens and it has a more fortified finish with the additional 30 days of life. Skipjack tuna tartare wraps short grains of Taiwanese feng lai pearl rice seasoned with furikake into a sphere the size of a golf ball. 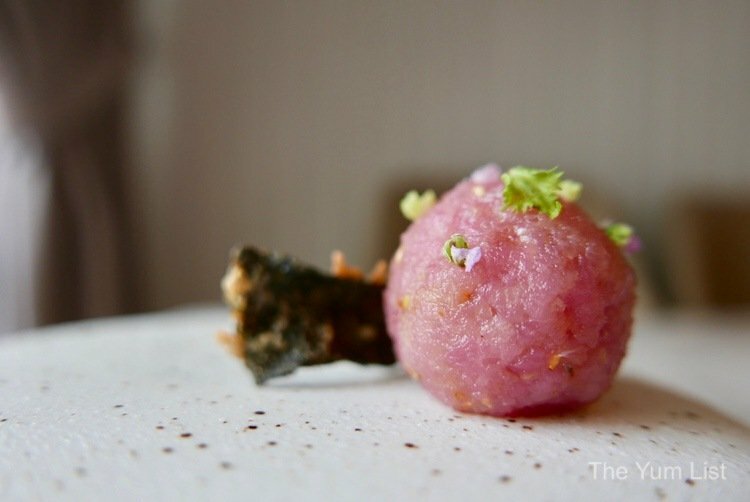 Micro oba (shiso leaves often seen served with sashimi) breaks up the pink flesh and a piece of battered and fried nori makes a great scoop and contrast to the fresh tuna. So why is it a tribute to Bar Alchemy? The bar upstairs from Restaurant Au Jardin, Bar Alchemy, serves similar ingredients in a don (rice bowl) in the evenings. Tiger prawns are firm to the bite and charcoal grilled. 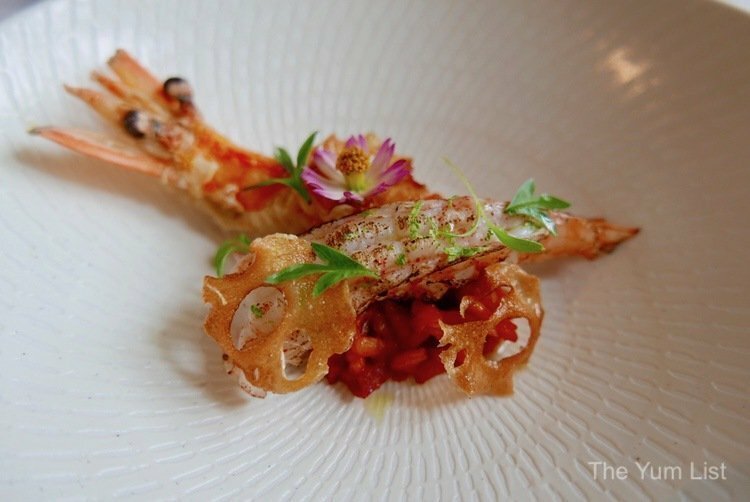 The heads have been used to make a prawn head risotto, which has a great texture to it including a puree of the prawn heads and tiny cubes of pork chorizo. Fresh ulam raja (local herbs) add a freshness to the dish and fried lotus root contributes another layer of crunch. The chef recommends beginning with the head eating up to the eye level only while it’s still crisp. It’s another excellent balance of flavours and textures. 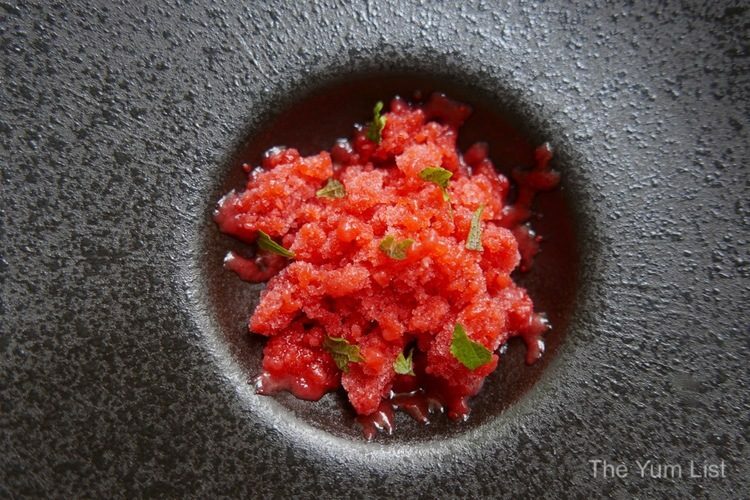 Fermented strawberry granita serves as a palate cleanser but once we spoon in we see it is so much more. The vibrant frozen top gives way to a wonderful velvety Madagascan vanilla crème patisserie. It feels like we had a cheeky little dessert in the middle of our meal. Please chef Hock, some more. Guests have a choice of mains on the degustation menu with fish and veal (additional RM70) the choices. The pan-seared red snapper is delicious in a white wine sauce with steamed clams and scallop tartare. Curried beurre monté, red pepper gastrique gel and cilantro round the dish up to full lusciousness. The short rib of Angus veal has hubby salivating on its visual merits alone. 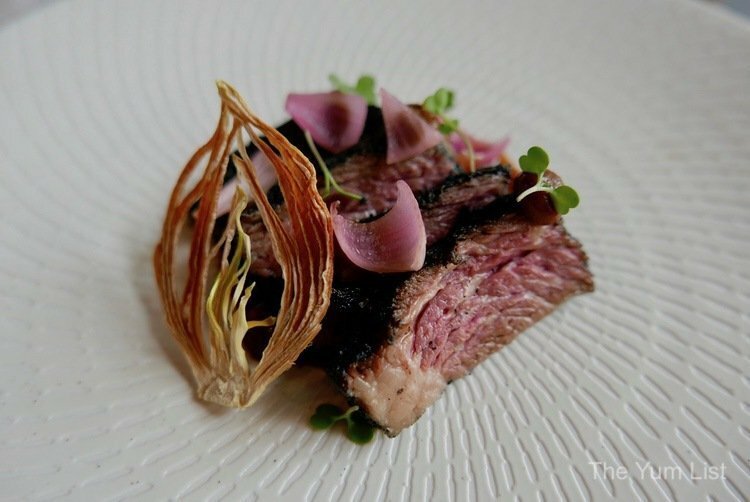 Pink in the middle with charred edges, it is succulent with its companions of caramelised onion soubise, pickled shallots, onion crisps and jus Maison. While the dish is plenty flavourful, don’t pass up the option to try the kitchen’s grain mustard. It is absolutely delightful. Honestly, I was already hooked on the tarte au citron vert the second I saw the lemon curd. The version at Restaurant Au Jardin, however, is a truly exquisite recipe. 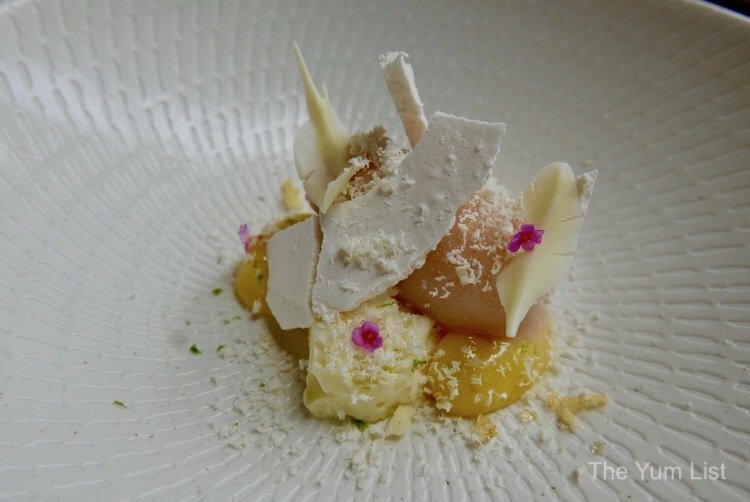 The curd is accompanied by nutmeg sorbet, frozen lime espuma, white chocolate meringue and lantana flowers giving a hint of guava. Hubby is in full moan-mode attempting to scrape up every last drop with satisfied mumbles of, “Mmmm. 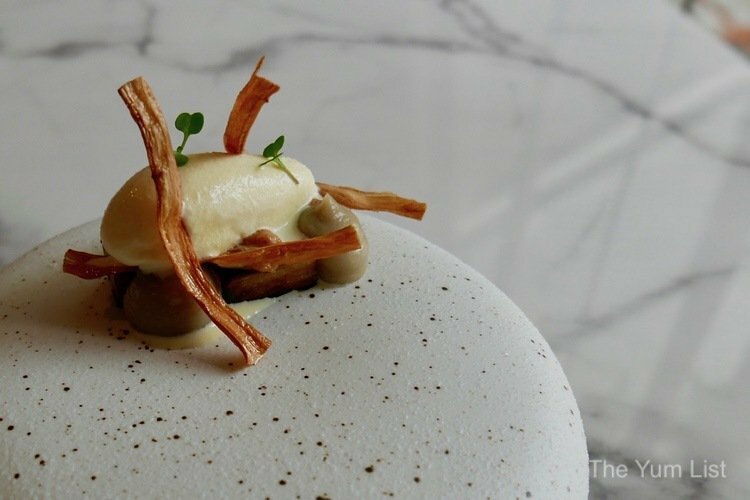 Superb.” I have to agree that it has not only been a stellar dessert but an exceptional line-up of food with obvious care given to the details. Penangites have much to be proud of in Restaurant Au Jardin. The standard of the experience would easily stand up to fine restaurants in larger cities and the team here do it all by honouring local seasonal produce. Kudos to Chef Hock and his team for being at the forefront of championing sustainable ingredients and pushing the culinary scene of an already delectable culture to new heights. Restaurant Au Jardin’s degustation menu is priced at RM250+ per person and is available for dinner Thursday to Sunday. 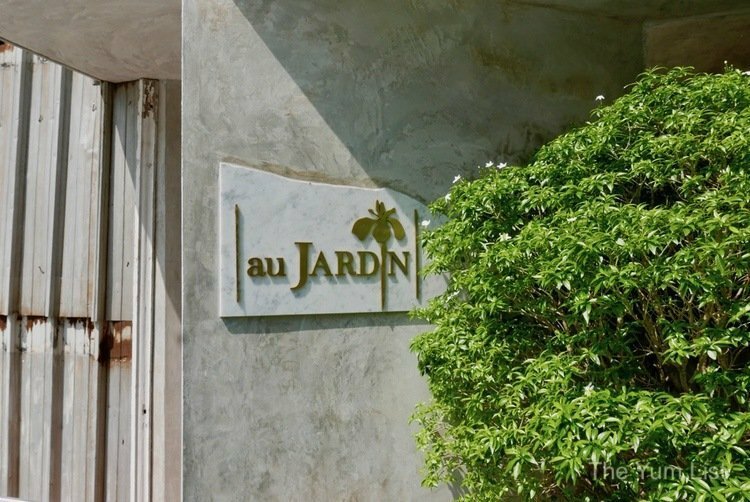 Reasons to visit Au Jardin Penang: a beautiful and intimate setting; a celebration of Malaysian ingredients prepared with meticulous European cooking techniques; to really see what the chef can do and just how good local seasonal produce is, order the degustation menu. 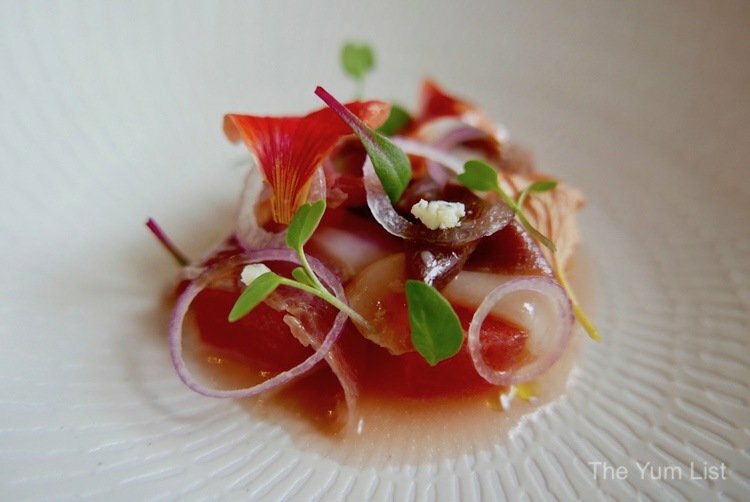 More on Penang’s gourmet scene here. 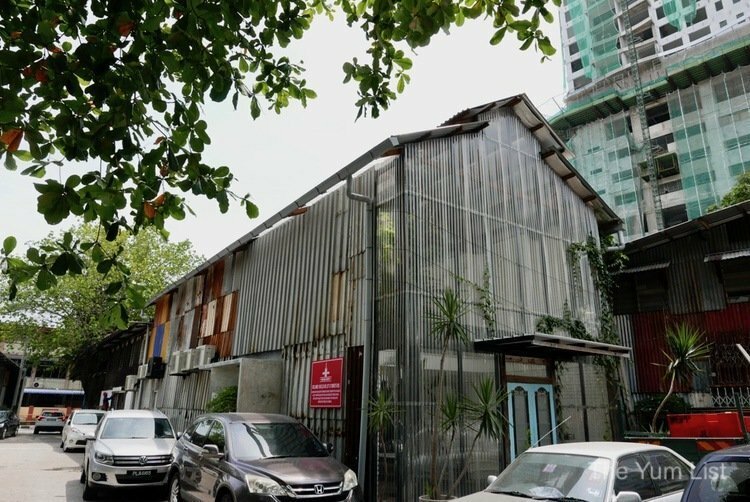 They transformed that old bus depot into a fine dining restaurant? Amazing! Very impressive! 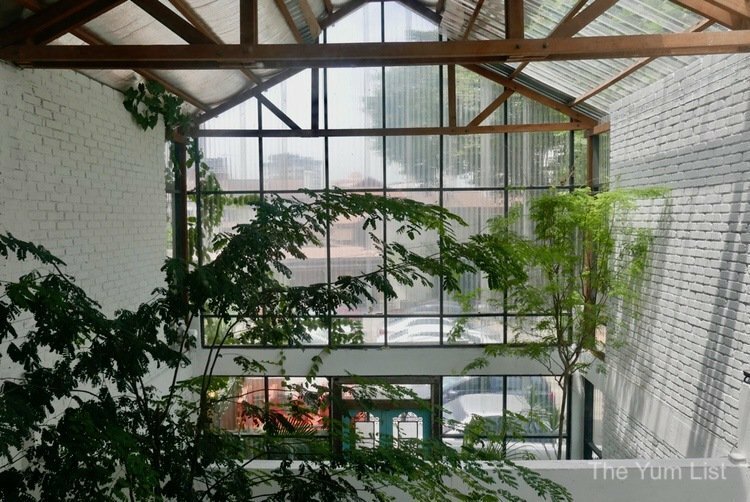 What an eye-catching facade that provides a great open atrium feel for the interior with lots of light!! That red snapper looks delish.